In the world of precious gemstones, whatever you read about garnets tends to have positive connotations. Such wasn’t exactly the case, however, for C.B. South Football last Friday evening. In fact, the mere mention of “garnets” to anyone in the C.B. South football organization will likely bring back tough memories of an evening that could very well have had a completely different finish were it not for the errant toss of an official’s flag during the game’s final seconds at Garnet Valley High School. Although that’s not how the evening should be remembered, that’s quite possibly how it will be remembered — at least for Titans fans. Indeed, with less than one minute remaining on the clock, the Titans appeared to have successfully halted a Garnet Valley offensive drive into C.B. South territory. Or so it seemed. But amidst spontaneous Titan celebrations for the turn-over-on-downs, an official’s flag was tossed well after play had ended — charging a face mask penalty against C.B. South. The penalty gave Garnet Valley an extended possession in which the Jaguars eventually scored the game-winning touchdown on a pass play deep into the end-zone with 0:16 on the clock — a repeat of a failed pass-attempt just seconds earlier. An extra-point kick sealed the final score at 52-48 in favor of Garnet Valley. And in a matter of seconds , emotions on the Titans side of the field sank from unbridled enthusiasm to stunning disbelief. Our multi-media HD WebShow this week features LOTS of Titan highlights from a power-packed evening of football by both teams. So turn up the volume — ever so carefully (as the audio track opens with a powerful drum solo) — and enjoy!!! 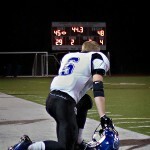 These and MANY additional game-action images have been posted to the PIAA 2011 PostSeason Football and C.B. 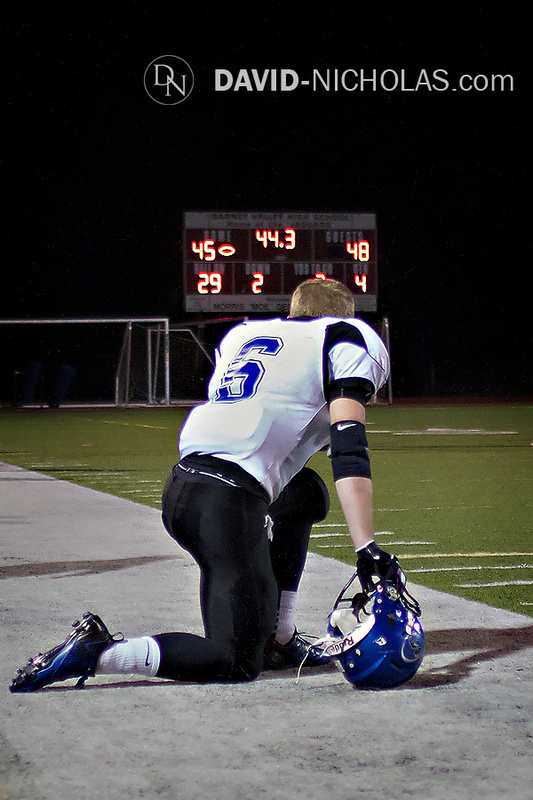 South Football 2011 Season online image galleries for browsing at your own pace. Contact the studio if you need any assistance. This year’s PIAA Quad-A Football Tournament is shaping up to be an interesting mix of teams. But don’t ask District One teams to give too much thought to their seeding ranks though… ‘Cause in the tournament’s 8 District One opening round match-ups, SIX of the lower-seeded teams advanced to Round #2! And you can count the Titans of Central Bucks South in that group, as the Titans (#13-seed) claimed a decisive 52-24 victory over the Colonials of Plymouth Whitemarsh (#4-seed) last Friday evening. Our HD WebShow features LOTS of great Titan highlights from the evening — set to one of our favorite music tracks for action sports images. So turn up the volume, and enjoy exclusive game-action highlights the way they were intended to be viewed… David-Nicholas style! Don’t forget to visit our online proofing galleries, where we’ve posted these and other images in the PIAA 2011 Post-Season Football Playoffs Album for you to browse at your leisure. Enjoy… and if you see some images that call your name, let us know!!! We have some fabulous ideas to help commemorate a great season — especially for Class of 2012 Seniors!!! Stay tuned for our Post-Season round #2 coverage of the Titans, when they take on Garnet Valley (#5-seed) at Garnet Valley on Friday, November 18th.